ANTALYA — A number of files belonging to the Antalya municipality have been discovered by security forces at Boğaçayı building site being burnt. Menderes Türel, AK Party's candidate who won the elections personally went to the scene and stated that it was explicitly evident that there was corruption, misconduct and theft by the previous administration led by CHP, who tried to cover it up through the extermination of files, which were supposed to be kept for at least 5 years. 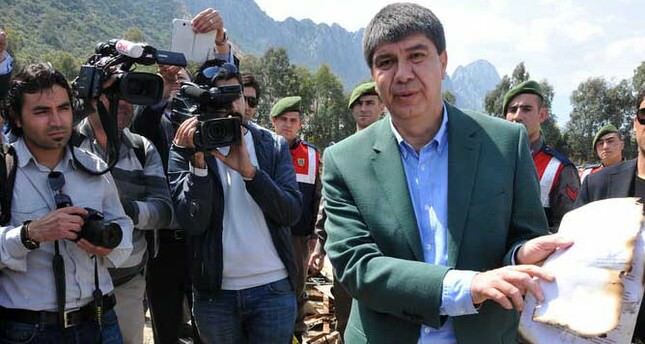 Upon attempts to burn the files, AK Party's candidate Türel has requested the protection of all files within the municipality office and ordered the conduction of an investigation. In response to the allegations, previous mayor of Antalya Mustafa Akaydın stated it was true that a number of files have been burnt at the building site, but claimed they were not "important". The AK Party has won the local elections in Antalya by a margin of around 2 percent while CHP became second. The victory is attributed by some to Menderes Türel, who ruled Antalya prior to the 2009 local elections when he was not nominated as a candidate, resulting in CHP's victory.